Born in the USA: Computer Hardware Made in AmericaWhat is ‘Fileless’ Malware Found Inside Server Hardware? Companies looking to reduce paper waste and save on ink and toner can implement several simple cost-cutting measures. Whether you have the most cost effective printer depends on the way it is used more than anything else. This is largely a behavioral issue for team members at the office, though there are printer settings that can help reduce paper waste and needless ink and toner expenditures. A paperless office should not just mean you have run out of copier paper and need to order more! Here are some actions you can take to save money and the planet. Let’s start with the simple, technical items before getting into the nitty-gritty behavior-changing stuff. Perhaps the most obvious way to save paper is to print double sided as much as possible. Double-sided printing is the default setting for duplex laser printers—many of which are priced under $100. On many inkjet printers, you can change the quality of the print job from “best” to “draft,” or from “photo” to “fast.” Laser printers give you the option of changing the DPI (dots per inch) from, say, 1,200 to 300. Reducing the quality and/or the DPI of a print job reduces the ink and toner used, and the jobs print faster. Many laser printers have a feature called Toner Save that automatically reduces the amount of toner used while still keeping output dark enough to read. Many multi-function printers (print/scan/fax) have a setting called print density, and some laser printers have a similar feature even though they are not necessarily copying and scanning. Reducing the print density will result in a lighter print, but will save toner. There are certain fonts that use less ink than others, and you can take advantage of them to reduce costs. Recently, a 14-year-old student named Suvir Mirchandani figured out the Garamond typeface is extremely efficient, and estimated that the federal government could save $235 million annually by printing exclusively in that font instead more popular fonts like Times New Roman. He won his school’s science fair with this findings, and wound up on CNN. A print to PDF solution gives users an easy alternative to printing content. There are several good free or inexpensive PDF creators worth checking out. I might recommend starting with PrimoPDF or a browser plug-in like CleanPrint for Chrome. Set your PDF solution as the default printer setting. Encourage team members to start saving team assets and reports on a shared server. Microsoft SharePoint is the standard tool for many companies to organize and save reference documents. For many companies, documents that need a signature comprise the bulk of their print load. Document management software with built-in e-signature features can help reduce print costs and streamline workflow related to the print-sign-scan-fax document cycle. Adobe Acrobat Pro DC is the industry standard for document management software, but is not the only option available. If users absolutely must print, make sure that their content is as print-friendly as it can be. There are tools and settings in Adobe Reader that help users arrange content on printed pages. PrintFriendly is a web-based free tool that helps HTML content print cleanly. The best (and perhaps only) way to change users’ habits is to make them accountable for printing costs. This requires an audit of all office printing so the proper data can be viewed by company decision makers.There are several programs that help with a printing audit, and will show how much, when, and by whom printing costs are incurred. PaperCut is a robust conservation and auditing tool that is well-regarded by IT professionals and worth checking out.Canon’s uniFLOW is designed for users that need to print confidential documents on shared network printers. Print jobs require two-factor authentication for added security, and offer users ink and paper saving options when printing. It works with most network printers and tracks activity and cost per user. At the end of the day, reducing print costs in the office will be a combination of technical and behavioral changes. Technical implementations probably will come easier than changing users’ behavior, but the latter will be more rewarding to reduce paper waste and saving on ink and toner expenditures. 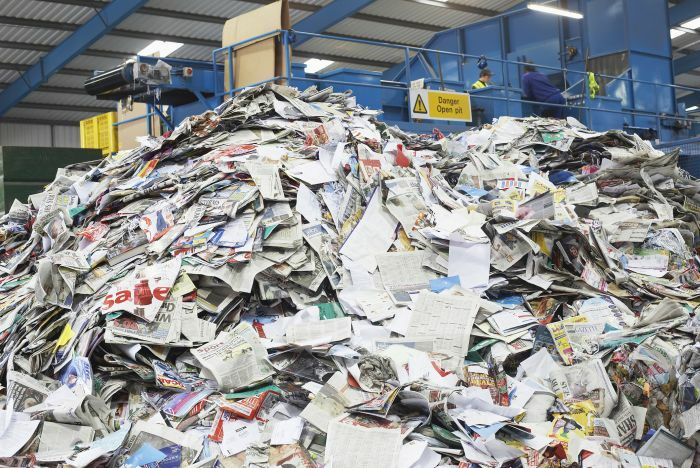 Companies looking to reduce paper waste and save on ink and toner can implement several simple cost-cutting measures. Here are 10 simple action items.